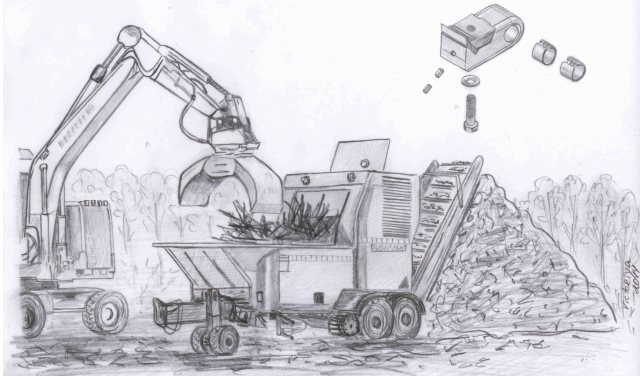 CarbBite UK has for both the chippers as well as for the fast turning wood shredders fitting parts in its assortment. CarbBite has different spare parts for the fast turning shredder in house, from axels to holders and swinghammers. The swinghammers are executed with a wear proof layer, either carbide tips or a layer of CGP, to prolong the lifetime and provide you with a much better price/profit ratio. We have wearparts for the chippers as well. The cutting blades of the Jenz chippers are easy, fast and safe to change. Take a look at our products below, or contact us to see what we can do for you.